The Ultimate Travel Junkie Trip- Star MegaDo 4! Next week, Travelmista and I are going on our first MegaDo! Well actually we are going on the Star Alliance MegaDo, or SMD4 for short. Now I know what you are thinking…What is a SMD4? It is Ultimate Travel Junkie Trip that occurs every couple of months when a group of frequent flyers get together and charter an aircraft and do some amazing activities together. You get to go behind the scenes at major airlines and even get introduced to some top management at these companies. The four is for the fourth time Star Alliance has put on the show. There are also One World MegaDo's or OWMD for the One World Alliance (American Airlines Alliance) You can read more about it at www.megado.com. This year's theme of the SMD4 is Giddy-Up. Yes a cowboy theme. I am all set with my pink cowboy hat. They are packing so many events into a few days but we can't wait. Some of the things we are looking forward to are: To meet everyone that is as crazy about miles and points as we are, the once-in-a-lifetime facility tours that you might never get to see, meeting top airline and hotel execs in person, visit three great cities in three days (talk about jetsetting), and all the free sponsor swag! 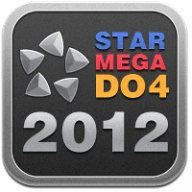 Click the title to read more about the Star Mega Do 4. This time Star Alliance is hosting so United is king on this trip. There are two portions of the trip a international and domestic. We are only attending the domestic portion. The trip starts at LAX and goes to Frankfurt and then on to Zurich on Lufthansa (part of the Star Alliance). The Frankfurt portion is hosted by Lufthansa. Hyatt and Swiss Air are the sponsors for the program in Zurich. Then the charter will fly back to SFO on Swiss Air (part of Star Alliance). Much of the program is secret but they promise it to be amazing. Plus with lots of status and miles and points included. The Airport Operations tour – Feel like an employee for a day with special access to our O'Hare Operations. You'll learn what's involved in getting thousands of customers to their destinations every day. Customers on this tour who are staying at the Hyatt Regency in Schaumburg will have a brief opportunity to visit the hotel before heading to the evening reception in downtown Chicago. The Inflight and Foodie tour – Meet our stellar catering and Inflight team – including our Executive Chef – and get a sense of what it takes to design and serve a meal that maintains its taste at 30,000 feet. You'll even get to taste test a number of our dishes and wines from our BusinessFirst menu. Customers on this tour who are staying at the Hyatt Regency in Schaumburg will have a brief opportunity to visit the hotel before heading to the evening reception in downtown Chicago. The Headquarters tour – Visit our state-of-the-art Network Operations Center, where we do 24/7 management and monitoring of every flight in our system. Find out how we plan future destinations, learn about our commitment to the environment and get a peek into our CEO's office. Customers on this tour who are staying at the Hyatt Regency in Schaumburg will have an opportunity to visit the hotel before the Headquarters tour begins, but, will then proceed directly from the tour to the evening reception. Travelmista and I selected the Headquarters tour as priority #1, Operations Tour as #2 and the Foodie Tour as #3. We still don't know what we are totally doing but I am sure they all will be great. On Thursday evening United will host another program at the Hyatt Regency in Schaumburg. On November 16, United will host two Q&A Panels which we select the IT & eCommerce session. The at lunch the official program ends and we return to "normal" life. Travelmista will miss the last day as he an important meeting in DC on Friday. This event sells out every time they host it so we had to be on the ball to get two seats. They were released back in July of 2012. The cost for an economy seat only for the domestic portion was $1,000 a ticket but does not include hotels and positioning flights. I know this isn't an cheap ticket but we have talking about going on this for more than a year and are really excited to finally get to go on a MegaDo! There are also additional incentives for going on this trip. You get extra bonus miles depending on class of service. For the domestic portion you get 5,000 EQM on United. There is the Hyatt challenge of if you stay at all Hyatt hotels in San Francisco, Houston and Chicago. They will upgrade you from Nov 2012 to Feb 2013 to Hyatt Diamond! Hence why Travelmista is now Hyatt Diamond. Plus lots of charity auctions going on throughout the trip. I will be sure to update this blog with more info on the SMD4 next week but if you want to follow along on twitter the hashtag is #smd4. Happy flying!